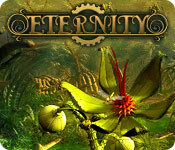 Eternity is rated 2.8 out of 5 by 24. Rated 5 out of 5 by MEnr56 from DOES HAVE EASY MODE This game, has you completing the 1st chapter in the Classic mode; upon completion of said chapter, it'll give you a choice of either Classic or Easy versions of the game. I like this game and I'm playing in the Classic Mode rather than the Easy Mode which is surprising for me to be able to do. If I remember correctly, I rejected this game when it first came out because I hadn't realized that all I needed to do was to follow the navigational wheel and once a particular area was checked off, then I could move onto another area. Some areas, of course, you know that you'll have to return to in order to complete it but the navigational wheel was very helpful by informing me as to whether or not to keep searching for any items that you'd need elsewhere. I found the hint button (just click on the person in the lower left-hand side# helpful as well as there was an area that I had NO idea as to what I was supposed to do. I also liked how certain inventory items would pulsate so you knew to pick up those items #ALL AT ONCE) and place them mid-air so that they could transform into whatever and then return to the inventory box -- such as the logs for the caveman's fireplace. I completed 4 chapters and was about half-way through the 5th chapter of a total of 14 chapters when the demo ended so I figure that this game'll take me approximately 3-3 1/2 hours to complete. Rated 5 out of 5 by JulieJay from Something Different I thoroughly enjoyed this game (demo) although on checking the walkthrough to try and determine length of game I was disappointed to note that I had in fact completed just over half the game in the hour demo which probably makes the total length at 2 hours max. If it ever comes on sale then it's a definite buy but won't pay full price for such a short game. 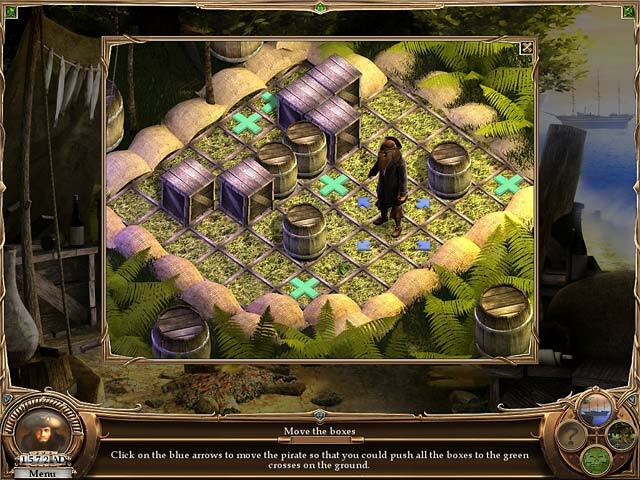 Rated 4 out of 5 by Hrdwlby from My Kind of Game I love games like this where you travel through history in mini chapters! In each time period you get to look for various items needed to complete the major tasks for that chapter. Some chapters are shorter than others. You do go back and forth between various sites in each chapter, but you have a map which makes it easier to do it. There are various mini games throughout, that are fairly standard but still fun. You do have the option to skip them if you choose. The hints are pretty generous and usually helpful. An overall enjoyable game! Rated 4 out of 5 by vonajm from Eternal Eternity Challenge Not my favorite game but at the end of each chapter the humor was delightful! The Hero/Heroine made some perfect quips about the historical figure who was helped or saved. The game isn't easy it is : anytime it says "Adventure" I know there will be things that I wont think to look for! so athe walkthrough is helpful! I think the best humor came in the credits as each historical figure get a bit roasted and it is quite funny! I recomend this game as good fun! Rated 4 out of 5 by HappyGrandma38 from Nice little game It is a little game as I said, which means too short. However there are things to discover and puzzles to resolve. As it is short you may have finished it with the demo version so I do not recommend. I bought it for my grand children. 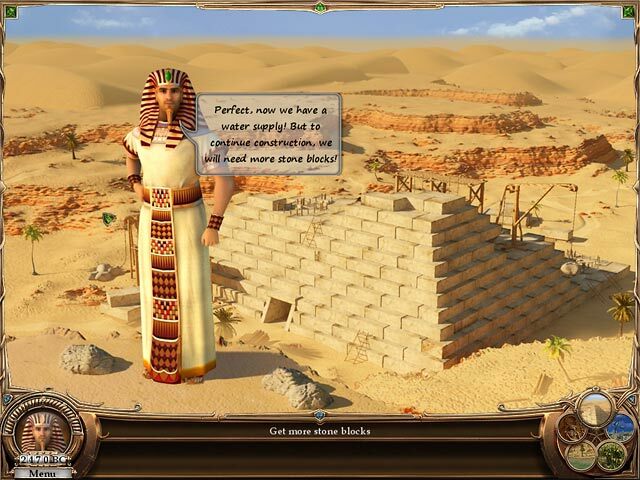 Rated 4 out of 5 by Hookedonbigfish from Good yarn , Good game I thought this game had quite an intriguing and novel concept, a bit of a variation from the normal point and click hidden object games. The graphics were quite good and the music soothing and didn't get on your nerves. The dialogue was just enought to keep you interested in what challenges lay ahead. The plot was that a son had to return his grand father to the present time after he developed a machine that took him through time and space meeting some significant characters from history. The puzzles were interesting and required some thought but were not that difficult whilst the hidden objects required visits to several different scenes to construct various items to be used in the tasks. There were also some standard h.o.s, some of which were a tad hard to find. All in all a good interesting and intriguing game - I enjoyed it. Rated 3 out of 5 by neilskinut from HOS game Good practice for HOS fans. Not and real story just go from one area to another looking for stuff. Rated 3 out of 5 by DutchDoll60 from Eternity needs some work I really did like the idea behind the story. It should have been in 2 games because there wasjust too many eras and not enough story. It didn't seem too well thought out, trying to cram to many characters in. I like to see it reworked and a little more substance. Rated 3 out of 5 by bgoetsch from Different... This game had a nice concept but could have been made a LOT better. When finding objects I was often confused about what to do with them or where to put them. Hitting the hint button will sparkle where the item is supposed to go and then not allow me to put it there. Too bad too because it was a nice change from the regulart HOGS. Rated 3 out of 5 by anitehawk from Not a lot of fun I have to admit, the graphics and sound were quite good. But that's where the enjoyment ended for me. I have played games where you need to find elements in more than one scene but in this game it really wasn't fun. Help wasn't much help in the way of guidance .... Maybe I was just too tired when I started the demo but this game was not too enjoyable. It was borderline boring. 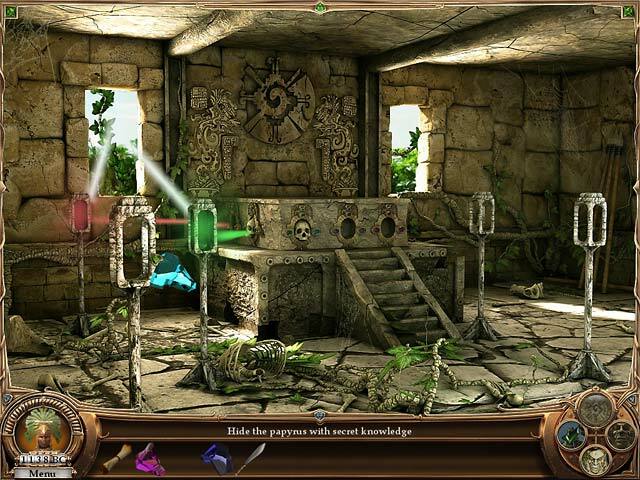 Travel through the time and find your grandfather in Eternity, a fun and amazing Hidden Object Adventure game!